eseebase has grown together with the savings that we, over the years, have contributed to through both processes and maintenance. In 2008, eseebase rose from Årstiderne Arkitekter. The goal was to contribute to savings in processes and maintenance of buildings and the goal was to collect and digitalise building data. At first, there were high expenses connected to vacatings, and this is where we felt the necessity to save. Since then, savings have grown massively. Today, we can proudly say that we have grown as our customers save. Today, eseebase have more than 150 employees who are all around offices in Denmark, Bangladesh, India, Sweden and Germany. With the help of DANIDA’s development programme for Danish companies in overseas countries, we established a drawing office in Bangladesh. The drawing office is a functional, efficient and professionally run unit that makes it possible for us to stay competitive on the price without compromising the quality. We often welcome guests, such as Danish companies on inspiration trips, who wish to see how we make it all work. Our essential parameter for success is that our customers will save money. 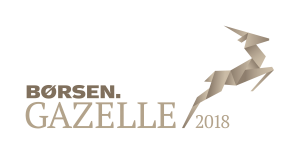 We are also proud of being elected as a gazelle company in 2017. One of the criteria is continued growth and a minimum of double your turnover or gross profit within four financial years. Gazelle companies create jobs and add value to the local communities. In eseebase, we contribute to, for example, social job creation, and have running technical design students. Based on our good experiences and solid position in the Danish market we are now starting to establish ourselves in England, Sweden and Germany.